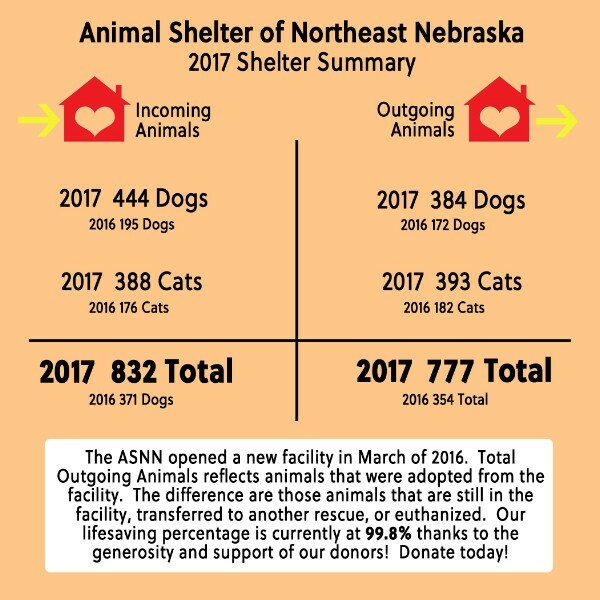 The Animal Shelter of Northeast Nebraska* (ASNN) was founded in 1995 in Northeast Nebraska by a group of dedicated volunteers. 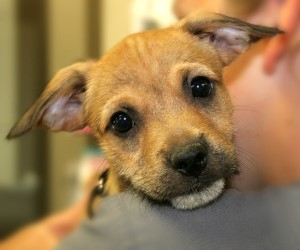 The volunteers created a network of foster homes and caring families to care for the abandoned animals in the area. All expenses are paid by the donations from the community and local businesses. There was a general lack of facilities in our five county area (Madison, Pierce, Wayne, Stanton and Cuming counties) to respond to the issues of unwanted or abandoned dogs and cats. Because of the rural nature of our environment many of these animals were simply turned free near farms where they were not wanted. Farmers or people living in the country, for their part, and understandably, did not have a shelter near them and were forced to either take the animals to a shelter farther away or have them euthanized or even kill them themselves. As a response to this urgent need we began the foster/adoption program as a stop-gap to meet the critical current need. We finally opened the doors to our shelter in March of 2016 and, for the most part, stopped our foster program and now house about 60 cats and dogs every month. We currently average 34 adoptions per month and, thanks to our community, can and will continue to grow. * The Animal Shelter of Northeast Nebraska is formerly known as Northeast Nebraska Humane Society - we have no affiliation with the Humane Society of the United States.